This photograph shows the Missouri-Kansas-Texas railroad depot at Moran, Kansas. 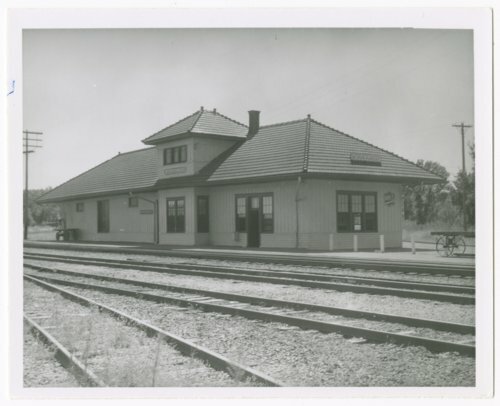 The one-story building with batten siding and a terra cotta title roof was part of Northern Division, KS. City Sub. Division at milepost 94.7. The depot no longer stands.